Cryptocurrencies and electronic transactions will dominate the future. And many believe the technology behind Bitcoin will be the reason that happens. So what is this technology? It’s called blockchain, and many believe it’s the future of financial transactions. What is blockchain? In simple terms, blockchain is a growing online record. Here’s a simplified example. Let’s say Citizen A agrees to buy a product from Citizen B using Bitcoin. When he does, the blockchain records the transfer of the Bitcoin from Citizen A to Citizen B. When Citizen B eventually buys something using the Bitcoin, his transaction is added to the existing record. This goes on and on forever, generating a record of every transaction in the life of a specific Bitcoin. If this is all blockchain did, it wouldn’t be revolutionary. But a second component makes blockchain groundbreaking. Unlike other electronic transactions, blockchain records are public. They don’t exist in a centralised location such as a commercial bank or the U.S. Federal Reserve. Instead, they’re stored over a large decentralised network. This means blockchain records are on computers all over the world. And this makes cryptocurrency counterfeiting almost impossible since altering any past records requires widespread collusion across the entire network. This is the main reason so many people are excited about Bitcoin. They believe the public records make it less susceptible to fraud and theft. But that’s not the only benefit. They point to others as well. One of Bitcoin’s benefits is its limited supply. Unlike many government-backed currencies, Bitcoin features a fixed number of coins. So a central bank can’t print more Bitcoins and destroy their value. Many also believe Bitcoin offers a greater level of privacy protection and anonymity. Why? Because even though blockchain records are public, each transaction is tied to an online address rather than any information related to a person’s identity. 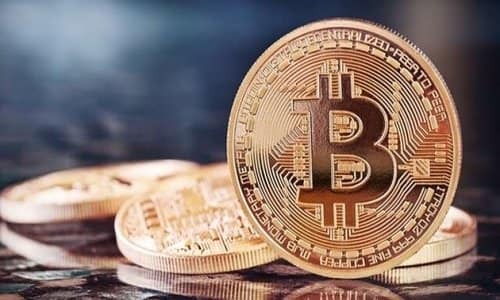 Because of these benefits, many people believe Bitcoin (or perhaps some other cryptocurrency) will become the money of the future. Is this realistic? Yes. I think so. First, the decentralised nature of blockchain records make their transactions more secure. And as more and more business is conducted online, people will demand greater levels of security. Second, all paper money will soon be obsolete. And when that happens, cryptocurrencies will be the most efficient and convenient alternative. Whether it’s blockchain-backed cryptocurrencies or some other form of electronic currency, paper money will soon disappear. It won’t just fall out of favour due to inconvenience. Outside of museum showcases, it will disappear forever. How can I be so sure? Because counterfeiting will soon be impossible to prevent. Advanced technology makes it certain. New technologies will soon lead to desktop printing of 3D objects where every molecule is perfectly positioned. With such technologies, we can’t stop counterfeiters. They’ll flood the world with perfect copies of every national currency. No one will be able to tell the difference between a fake dollar bill and a real dollar bill. And when that happens, both will be worthless. World governments won’t have a choice. They’ll quickly do away with all physical currency, and all economic transactions will go electronic. Because of the benefits mentioned earlier – security, supply stability, and privacy – the use of non-government-issued cryptocurrencies such as Bitcoin will become more widespread. But do cryptocurrencies really provide the promised benefits? While many insist they do, I believe history proves otherwise. Government, with its massive resources, can identify every Bitcoin user. And since Bitcoin transactions use blockchain, which is an open and public record, governments can track and follow every Bitcoin transaction in the world. In a world where paper money no longer exists, that last sentence should grab your attention. Why? Because the Bible described such a system nearly two thousand years ago. Long ago, the Book of Revelation foretold the establishment of an end time economic system eerily similar to a world dominated by cryptocurrencies. The Bible says a time will come when a global dictator will require everyone on earth to receive a mark on the right hand or the forehead (Revelation 13:16). Without this mark, the people of the world won’t be able to buy or sell anything (Revelation 13:17). How will this work? It remains to be seen. But the rise of cryptocurrencies provides us with a glimpse as to how it might function. Cryptocurrencies require all transaction records exist in the public domain. While names and other identifiable information won’t necessarily be part of the public record, governments have the resources to unmask those identities. This will especially be true of the Antichrist’s global government, which will have power over all the people on the face of the earth (Revelation 13:7). Hacking cryptocurrencies will be easy for such a government. With cryptocurrencies and ecommerce, mark of the beast technology is already here. In order to control who can buy and who can sell, the Antichrist will need a system capable of tracking every transaction on earth. Cryptocurrencies and public blockchain records provide such a system. So what does all this mean? It means we’re fast approaching a time the prophets warned about. The end times are near. The tribulation, the Antichrist, and global government are all near. But that also means something else. It means the return of Jesus is also near. So have no fear, Jesus is coming (Revelation 22:20)! Condensed article by Britt Gillette is author of the ebook; Coming to Jesus: One Man’s Search for Truth and Life Purpose as well as Signs of the Second Coming: 11 Reasons Jesus Will Return in Our Lifetime. This entry was posted in End Times Prophecy, Mark of the Beast and tagged Bitcoin, blockchain technology, cryptocurrency, end of paper money, Last Days prophecy. Bookmark the permalink.